A film celebrating the life of the late Cherokee Nation Principal Chief Wilma Mankiller is being released on DVD and on iTunes. Officials involved with the film, "The Cherokee Word for Water," released the film Tuesday in celebration of Native American Heritage Month. The film tells the story of how Mankiller and her husband, Charlie Soap, convince the impoverished Cherokee community of Bell to lay 18 miles of waterline across challenging terrain — entirely through their own volunteer labor. 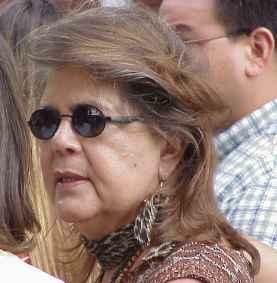 The Bell project propelled Mankiller to her election as the first female principal chief of the Cherokees, and as a globally recognized Indigenous leader. In 1998, then-President Bill Clinton honored Mankiller with the Presidential Medal of Freedom.